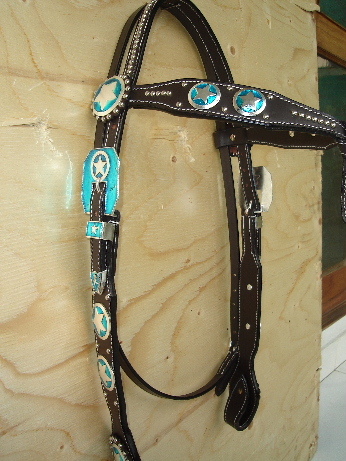 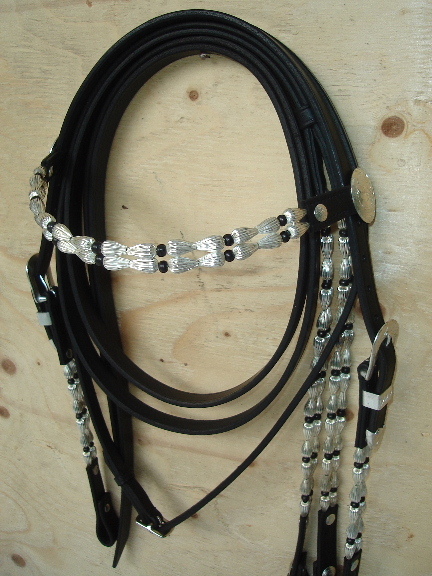 Western style leather headstall with round silver polished etched stuns. 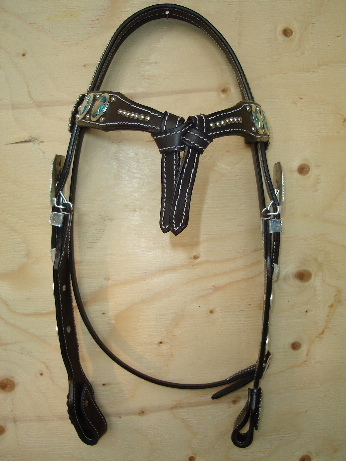 Headstall with decorative beads, metal etched fits. 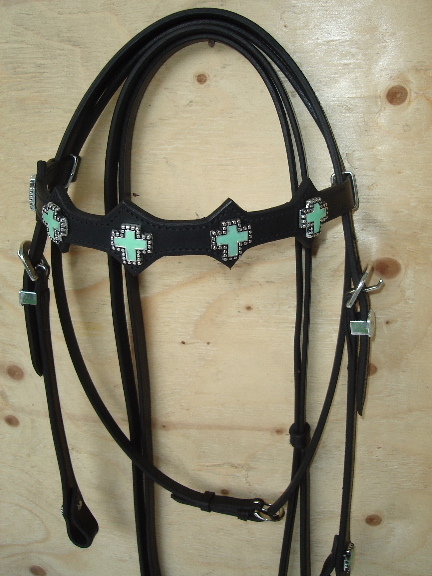 Leather western headstall with mina filled cross decoration. 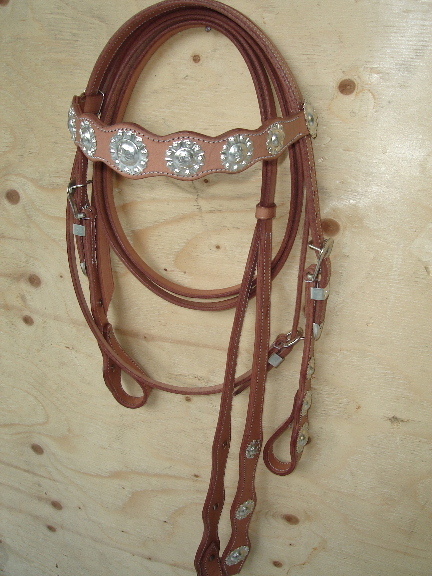 Western style headstall with knotted browband and heavy mina filled and stud star decoration.